Email newsletters are a great way to communicate your team’s latest announcements. However, a new user will see only those emails that edit out after they have signed up. It is not possible to send the new user all the emails from the start. Does that mean your new users will not get converted? Nope. That’s not how email campaigns work. 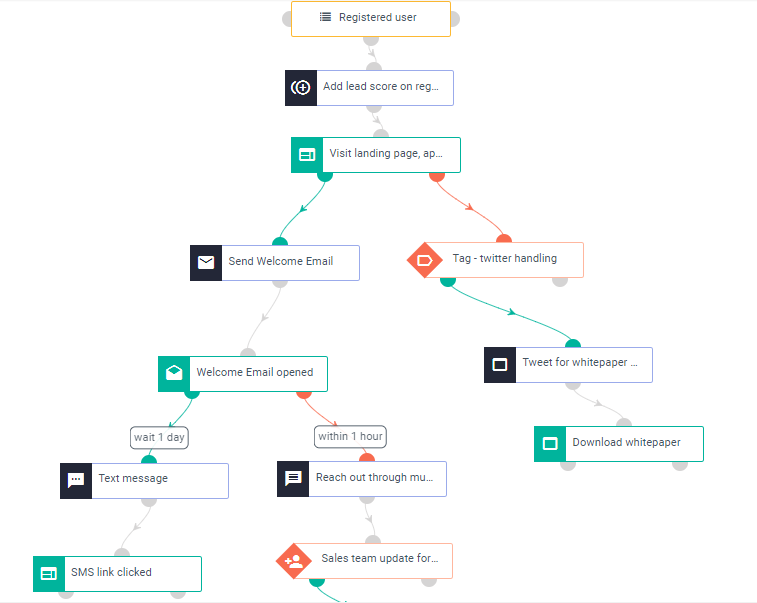 Enter drip email marketing automation campaigns or automated email campaigns. These campaigns comprise a set of emails that are sent out automatically on a schedule. One email is sent out the moment a new user signs up; the next email follows within maybe 3 days or as to. Many times, drip campaigns are triggered on the basis of user behavior, for which these campaigns often go by the name of behavioral emails as well. Drip Email Campaigns: What, why and How? Like mentioned earlier, drip campaigns are a set of automated emails that are sent out to nurture leads. These emails are sent either on the basis of a fixed timeline or based on user behavior. Drip Email marketing automation campaigns are an effective way for brands to stay connected with their users during various events like when a user signs up, or when some time user makes a purchase or updating users about new products and services, etc. 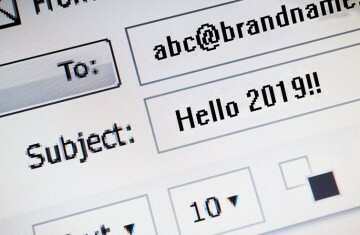 Brands go as far as personalizing these emails by using the first name in the email contents. Every drip email sent out is a part of an already written and scheduled email. In short, drip emails can be defined as the art of sending the right information to the right audience at the right time. It is interesting to note that drip campaigns get their name from irrigation. Just the way a farmer nurtures a sapling, a drip campaign nurtures every lead and helps in conversion. 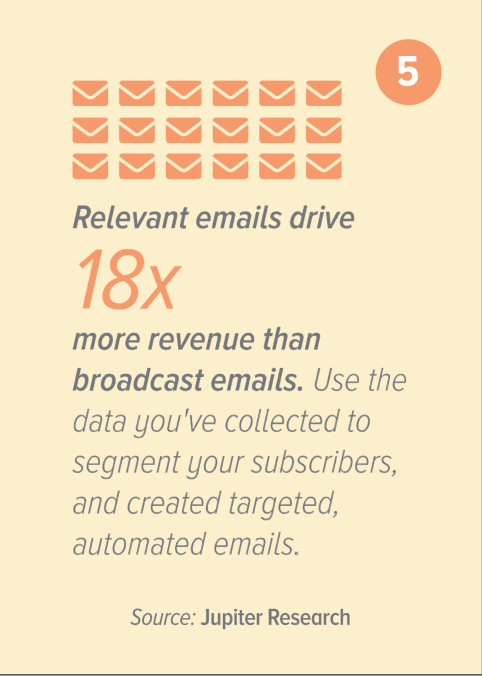 Relevant emails drive 18 times more revenue as compared to broadcast emails. Automated emails get 119% more click rates than broadcast emails. Nurtured leads catalyze about 47% larger purchases. Companies that use automated emails are 133% more likely to coincide with the purchase cycle of the customers. Personalized emails generate about 6 times more revenue than non-personalised emails. These points only go on to validate that drip campaigns can generate better results than email blasts. You can segment your users and send drip emails accordingly. For instance, you can have drip campaigns to educate your users or reward them or convince them to try a new product or service, and so on. Customer list segmentation goes hand-in-hand with the success of your drip marketing campaign. For instance, suppose a user has been viewing your ‘premium plan’ page for some time. You can automatically set a trigger to your drip campaign to send such users an email on how they will benefit by switching to the premium plan. That is just one part of how behavioral automated emails can work. Drip emails are easy, effective and time-saving. It helps you engage your users better and boost your user-conversion. Easy retargeting and on-time follow-ups: There are many leads that have subscribed but are non-active. These leads don’t close. You don’t delete these leads. Rather, doing a drip campaign can help you in keeping these leads ‘warm’ (slightly active). These are leads that will take a lot of time and many drip emails. However, when they are ready to make a purchase, you will still be around. You can use drip emails to upsell better products and services to these leads. You can cross-relate products or ask them to recommend to friends. The catch here is- there must be an incentive to this engagement. Remember, they were inactive. To make them engage, you need to offer them something that will push them to engage. One-click campaign automation: Adding and deleting subscribers, moving lists in and out of the campaigns, applying tags- there are so much to a drip email campaign. All of these can be set seamlessly with just a click. Campaign workflow designing: Did you see the Lead Nurturing Essentials video from LearnPad? LearnPad had created a 10-step drip email campaign to convince their educators to adopt their latest technology. Drip campaigns are automated and one-click affair. Once you have set the schedule or email flow and/or behavioral triggers, you are done. List segmentation based on prospects’ interests: Sending out personalized emails enhance more conversions. You can segment your prospects based on their interests and accordingly schedule the drip campaigns. The more personalized is your drip email content, the better it is. Effective nurturing for Sales-ready leads: Like mentioned earlier, drip emails are about sending the right information to the right audience at the right time. Hence, if you are sending drip emails to sales-ready leads, it will show instant results. Drip emails are a great way to nurture highly potential leads and get them converted. Drip emails are effective, but too much of anything never works. Drip emails are no exception. If you overdo your drip emails, chances are high that your users will unsubscribe from your email list. A balanced drip email sequence can be just perfect to remind your users about your brand, educate them about your services and products, announce new launches, get new users, and keep them posted about what’s happening around. Welcome emails are a nicer way of saying “Hi, it’s great to meet you.” According to the whitepaper on Welcome Emails by Experian, automated welcome emails received 58.7% open rate on an average while that of normal emails was just about 14.6%. It also revealed that open rate spikes up to 88.3% if a welcome email is sent instantly after the user signs up. You can get a lot of page views and many users will sign up for the free trial. The real catch is to convince them to sign up for a paid plan and be with your brand for a longer time. This is where drip onboarding emails help. 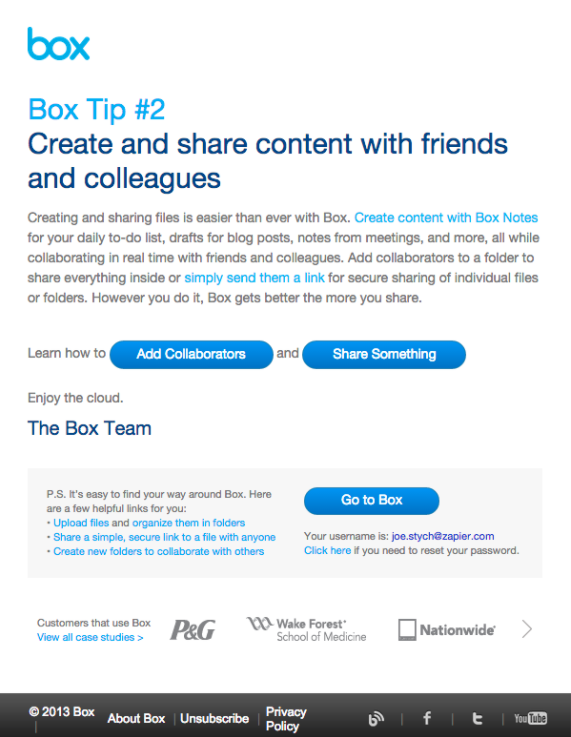 Onboarding drip emails offer small ‘sell’ that is highly targeted. Small goals and baby steps go a long way. 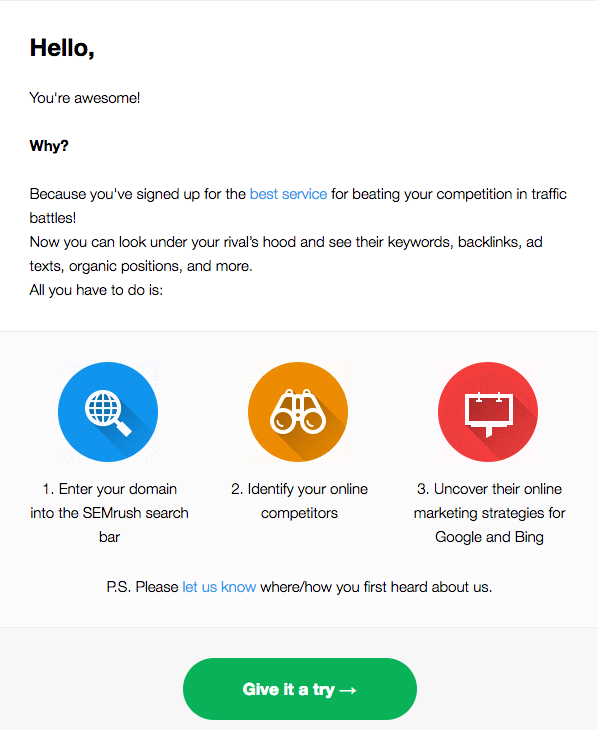 Brands use emails to confirm user registration. It is more like closing the deal, but that doesn’t mean your drip emails are no more needed. Once a user has signed up, you can schedule drip emails to say a thank you, or remind about the renewal of purchase, or include links to your products or services. Sending out receipts of any purchase made instantly is essential. That validates your customer support and creates a base for customer trust. Confirmation emails on ticket or train bookings or hotel room bookings can be followed by reminding users about that upcoming trip few days prior to the trip. Setting up a drip email campaign is not as daunting as it may look like. A drip campaign can be set up in few simple steps. Below is a guide to setting up a drip email campaign. Spot your target audience first. You cannot send a bunch of emails to your existing user list about something they did not sign up for. You can sub-divide your lists into various segments based on demographics or actions or interests. Drip emails are more like niche email marketing. Once you know which user group you are sending out your emails, you will need to carefully draft your message that is helpful and grabs the eyeballs. You need to be sure of what exactly you want to communicate or rather the purpose of your drip email campaign- is it to educate your users? or sell a product? or re-engage existing users? Bonus Read: Jimmy Daly, the content editor at Vero, broke down a promotional email from Evernote to highlight the importance of content structuring. You have everything ready- email list, email content, and email sequence. Now, you get going. You will need to implement drip software for this purpose or opt for a marketing automation tool that offers all the automation features. Drip campaigns are automated. True. But to make this automation function, you will need to supervise and monitor the whole functioning. You will need to see if a particular drip sequence is giving you the desired results. If not, you will need to modify the email sequence or may edit the email content. Sometime educational content might work wonders while other times it will be not. So, it is important to evaluate your drip campaigns, adjust and repeat. 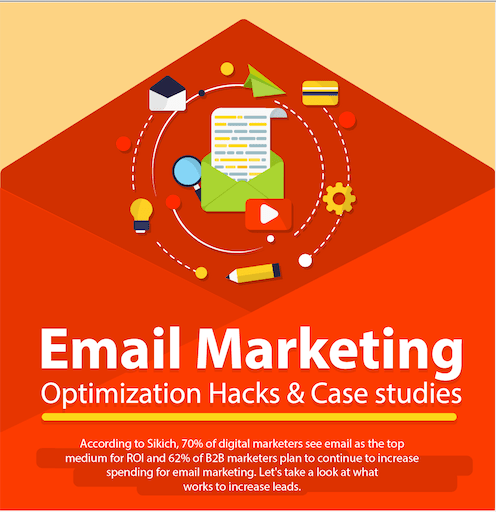 This infographic will take you through the hacks that will help you draft the perfect email campaign. Be it subject line or sender’s name or personalization of email content – each aspect of your email plays a pivotal role in helping you drive engagement, followed by acquisitions. Drip emails are not only about creating a series. You must also pay equal attention to how you are drafting each email. It is at this stage that this infographic will come extremely handy. Check out the entire infographic here. Below are a few simple guides to what kind of emails can be used for each event. Aritic PinPoint can help you do drip email marketing automation campaigns effectively without consuming much of your time. It is a full-stack marketing automation suite which includes email drip campaigns. You can build an automated drip email sequence within Aritic PinPoint using the drag and drop email drip builder. Add to this, Aritic PinPoint has beautiful and responsive drip campaign email templates that are ready-to-use. You can customize them if you want to. Analytics and tracking are also strong and real-time. Drip email nurturing is essential and Aritic PinPoint has all the drip email campaign tools that you’d require. Take a quick demo to see how drip email campaigns can be built within Aritic Pinpoint or straightaway sign up for a free account today. Drip email campaigns turn out to be the best method for lead nurturing. I suggest you give it a try. To nurture the leads, drip email campaigns are significant to lead them in the right direction. Thanks a lot for updating the article. Great info, thanks a lot. 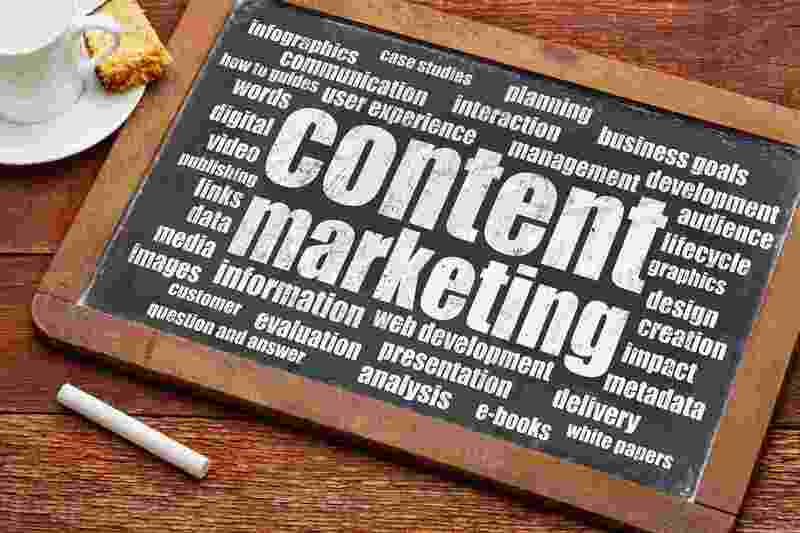 The article will help me improve my email marketing campaigns! Great work Pritha. You have put a lot of efforts in collecting information about setting up the drip email campaigns. Drip emails are really effective for customer acquisition. I have not used all the drips that you have mentioned but the welcome drip series really work. Will try the others soon. The importance of lead nurturing is now seen in any given business. Drip email campaign focuses on this and to an extent influences the lead’s behaviour. A very informative blog, thanks for sharing! Drip Email Campaigns are very essential to nurture our leads and lead them in the right direction throughout their subscriber journey. 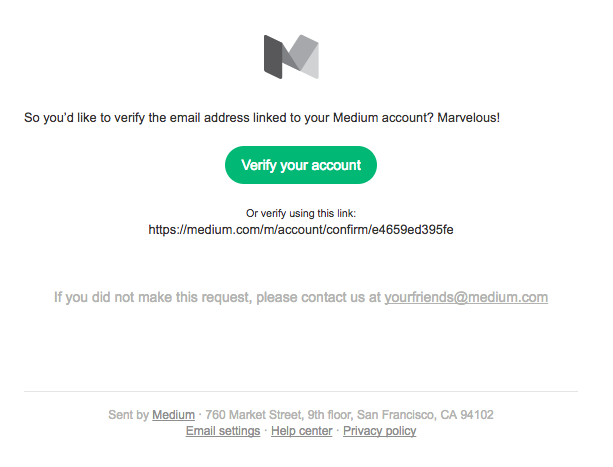 I agree that drip campaigns are one of the finest ways to build trust via email. And a well implemented drip email campaigns shows that you can offer value without over-inundating your audience. Drip campaigns are a very successful process in marketing. Hence with well designed drip campaigns, you can bring your prospects down the sales funnel, and also decrease the time your sales team spends on educating them about your product. What a fantastic post! You have outdone yourself this time Pritha. Often setting up the drip email campaigns seems daunting but the beauty of it is that this all happens automatically based on triggers and user segments that we define. Not only acquiring the leads but also nurturing them is very important in the long run. The drip emails entirely serves this purpose. The content written is very well researched. Drip email campaigns mean to schedule our emails according to the customer interest or behaviour. These automated emails assure 18% more revenue than the normal emails. This post well describes the importance and advantages of this campaign. It helps in sending the emails to more and more targeted audience. Hey There. I found your blog using msn. This is a very well written article. Ill be sure to bookmark it and come back to read more of your useful information. Thanks for the post. I will definitely comeback.